1. 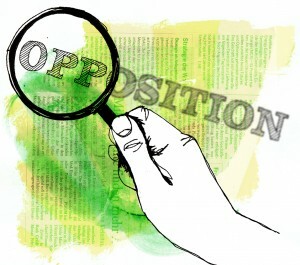 What is opposition research? Political campaigns are mostly defined according to the opponent. The observation of opponents is a key instrument of political strategy and, for over two decades, a professional part of election campaigns, particularly in the USA. Some party-people still resist opposition research – “Why do we need it? We have no money and no people. We prefer our own, positive message; let’s concentrate on this.” But it is an unavoidable fact that, in the coming years, the consistent observation of opponents will be an integral part of any campaign. This concerns in particular publicly accessible information. So it does not involve the invasion of privacy, baseless allegations or snooping! Opposition research detects developments and projects at an early stage, but also the opponents’ conflicts and contradictions. It is important to know how that information can be used for one’s own campaign. Opposition research is not just about the opponent’s weaknesses; it can also serve to anticipate attacks. It is crucial to recognise one’s own potential weaknesses in communication and to ward these off with appropriate responses (arguments, counter-attacks, or ignore them). Understand the opponents and their ‘script’: what persons, messages, strategies, arguments are used in direct confrontation? Observation: what should be observed? Negative campaigning is a tactic that attacks the opponent directly – with or without comparison to the alternative(s) proposed by one’s own party. In some countries, the Greens are subjected to massive amounts of negative campaigning. Negative campaigning is likely to become an increasingly decisive element of campaigning. Both in day-to-day political debates and in communication networks, polarising statements will get on to the agenda more easily. The sustained success of negative campaigning for campaigners is open to question, however. In the meantime, the negative campaigning in election campaigns has itself become a topic of discussion (e.g. dirty campaigning). In any case, it is crucial to know about attacks by opponents in advance.